Plastic, cloth and even rope toys need to be cleaned to maintain animal health. Have you ever wondered about the right time to clean and even discard your pet’s toys? Well, one thing is clear: they are constantly full of bites and drooling, and precisely because they are utensils that come into contact with the animal’s mouth, you need to take extra care when it comes to sanitizing puppy toys. In the first place, it is necessary to identify the material and if the label has instructions of the best form of cleaning or washing. Typically, companies leave this type of content on their sites, but if there is no recommendation written there, it is possible to call. In any case, we separate tips on how to clean dog toys according to their materials. Ideally, in this type of material, leave the toy for 15 minutes of soaking in the warm water, with a little neutral liquid detergent. After this period, remove it from the water and use a sponge (which has been purchased only for this purpose) to clean the dirt that will be soft. One caution is very important: the temperature of the water! It should be warm enough to be able to put your own hands without burning them. This is because a very high temperature can damage and even melt the plastic or rubber. This material is possible to wash with soap and running water. As it is a kind of fabric, string toys need a precise rinse as well as an effective drying. So one tip is to use coconut soap and running water when washing and then putting in the sun, or even in the dryer. Some rope toys are usually lint-free before, or at the time of washing, in this case, pass a pair of scissors in the raised hair so that your dog does not eat any of them. 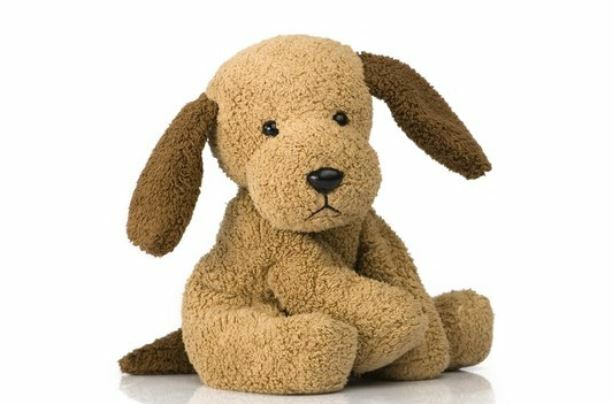 Plush toys, when they have no batteries or any material that can not get wet, can be washed in the conventional washing machine. The ideal is to use neutral soap, very rinse and only deliver to the dog when it is very dry. One tip in this type of toy is to always pay attention to the seams and occasionally reinforce them before washing. If the plush toy cannot be immersed in water because it contains some more rigid or electronic detail, a good option to sanitize is to wash by hand. Take a sponge, add neutral soap and go across the surface, done that, wipe with a cloth until you feel that you no longer have soap. Leave it to dry and only delivered to the pet when it is no longer moist. How do I know it’s time to change the toy? The cleaning of dog toys prevents them from eventually swallowing some dirt and even assists in the non-breeding of germs and bacteria. Toys are not eternal and should always be changed and cleaned by tutors. Taking care of the utensils of the pets is also a way to take care of their health and to demonstrate how much you love them. Is Turmeric Safe for Dogs? How Long do Bichons Live? What is the Longest Recorded Flight of a Chicken? What is the Difference Between a Rat and a Mouse? © 2017 MyFriendlyPets. All rights reserved.